PANDORA Black Leather Choker and Feather Necklace. 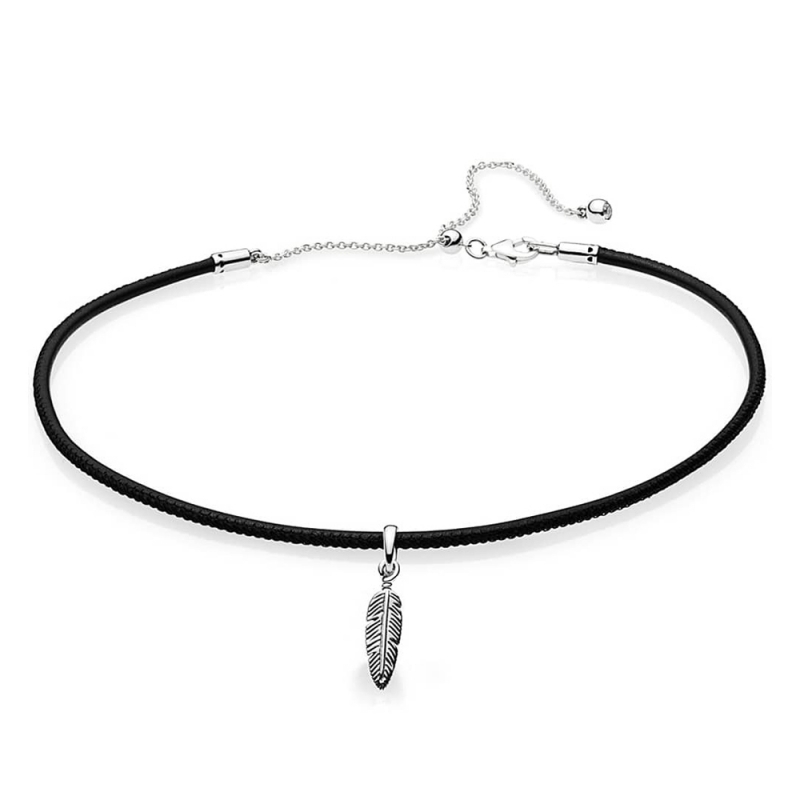 Treat yourself to a stylish upgrade for the new season with this gorgeous black leather necklace, strung with an ethereal sterling silver feather pendant. This playful piece includes an adjustable chain and clasp closure set with a sparkling stone.